Yes, Free Podcast Hosting Exists! Has your podcast taken on a life of its own? Does your website or blog seem to revolve around organising recordings and uploading new editions, rather than focusing on its original core aim? In such a situation, it’s a good idea to give your podcast room to breathe, and the best way you can do this is to give it some space. Web space, to be precise. But hold on, aren’t you already paying for hosting for your existing blog? Is MakeUseOf seriously suggesting you pay for a second hosting account?! Well, no we’re not. In fact, it is possible to find free hosting for your podcast using some of the most well-known social media services in the world. First up is Audioboo, the popular audio upload and instant sharing service. One of the strengths of Audioboo – considered a sort of audio YouTube by many – is the short processing time. Even uploads of 100MB can be readied for a listen within 5 minutes. With a free Audioboo account, you can upload audio of up to 3 minutes, with no limit to the number of posts. For a podcast that is regularly longer than this, clearly this is too short. However if you podcast short shows regularly, then Audioboo is a great place to have your podcast. Regularly used accounts get a lot of attention, and if your content is suitable and popular, they may even offer you extended hosting for a discount (disclosure: the writer of this has such an arrangement). A strength of Audioboo is the flexible embed code (enabling your fans to listen to your podcast from your blog, Facebook and Twitter without visiting Audioboo), but perhaps the biggest bonus is the excellent mobile app for iOS, enabling instant Audioboo uploads – ideal for podcasts that feature interviews recorded on location. Similar to Audioboo, SoundCloud offers a small amount of storage that can be used to upload podcasts, although for free accounts this must not total more than 120 minutes. SoundCloud clips can be embedded and shared on Facebook, Twitter and blogs, leaving your listeners barely aware that anything has changed. Meanwhile,your audio content will be exposed to a whole new audience. Also available from SoundCloud is a mobile app (iOS and Android [No Longer Available]), enabling you to upload direct from your phone or tablet. I spent some time trying to work out just how to add a podcast to YouTube. The terms of video uploads to the world’s biggest video hosting site are clear: audio-only content is not allowed. However a quick check of the site will reveal a vast number of videos that are essentially slideshows. So what’s the deal? Essentially, you need to create a slideshow. For longer podcasts this might turn out to be quite time consuming, although if you’re happy for your face to be shown then using Google Hangouts to record live video podcasts This Is How To Run A Live Podcast Or Videocast This Is How To Run A Live Podcast Or Videocast Let me tell you - running a live video stream and podcast every week is tough work indeed. Actually... that's a complete lie - but don't tell my co-hosts that because they think I'm a... Read More which are instantly added to YouTube might be a better alternative. 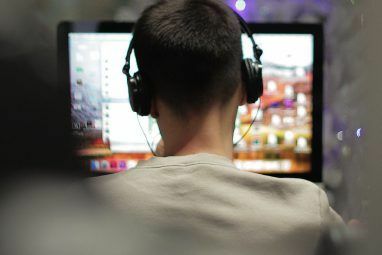 You might even consider this as an option anyway, and spend the few moments necessary to strip the audio How Can I Extract Audio From an MP4 or YouTube Video? How Can I Extract Audio From an MP4 or YouTube Video? Do you sometimes just want to listen to a YouTube video? Stripping the audio from a video lets you enjoy the content anywhere. Or you could distribute a Hangouts video podcast as an audio podcast! Read More from the recording and make it available for iTunes. You can use slideshow apps such as PowerPoint to make a visual podcast that can be safely uploaded to YouTube. Take care with the content you use as any copyrighted material may get flagged and result in your account being restricted. Apple Mac users can use Garageband’s Media Browser button in a new podcast to add visual content. Windows users might use classic Windows Movie Maker, following the steps outlined in the second section that shows how to create a video slideshow on Windows MovieMaker How To Add A Photo Slideshow To YouTube How To Add A Photo Slideshow To YouTube Videos have become only easier to compile, combine, and compose. YouTube crossed over to 1 billion users just a few days ago and despite the presence of very good alternatives like Vimeo, it is the... Read More . The idea is to create a slideshow; the danger is that it ends up taking too long to produce, so find the right balance. You might consider enhancing your slideshow with clickable links, which will help anyone who has stumbled upon your videos to find their way to your website. 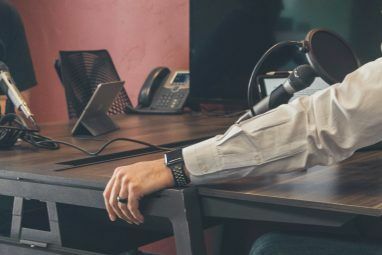 Podcasts are like websites – they tend to take on a life of their own. 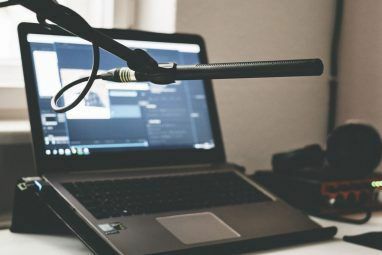 If you have found that your podcast is straining to be unleashed to a wider audience but you cannot afford dedicated hosting then using one of these free solutions could be what you’re looking for. Of course, you may know different. 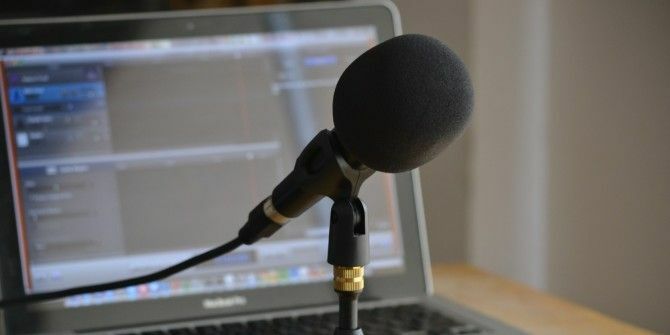 Let us know if you have some better free podcasting solutions. Explore more about: Podcasts, Record Audio. audioboo.fm is now redirecting to audioboom.com, FYI, as of 2017. That's fine, as it is the new URL, but I will update the link. its also not free at all. very commercial now. Speakers, is better. Try it.